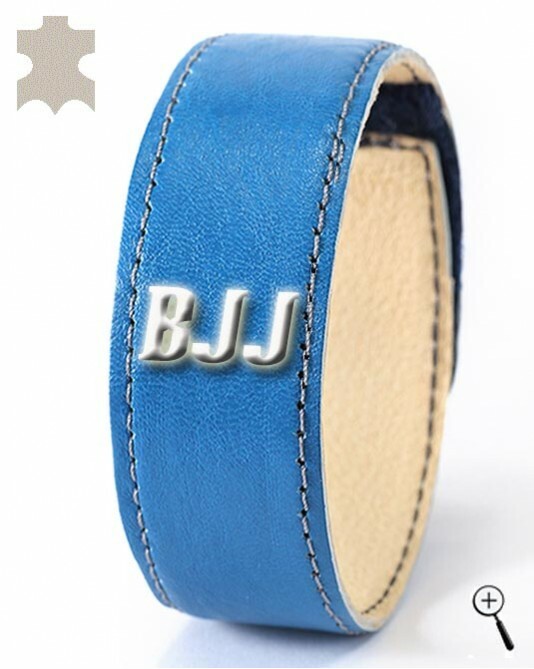 The leather wrist band with built-in magnet and inscription "BJJ" is made of blue natural leather. Bottom part, of the leather wrist band that is in contact with the body is also of leather, which absorbs sweat without irritating the skin. The lining of the leather wrist band is easily cleaned in lukewarm water by rubbing.